1. He is the current Governor of Okinawa Prefecture. 2. 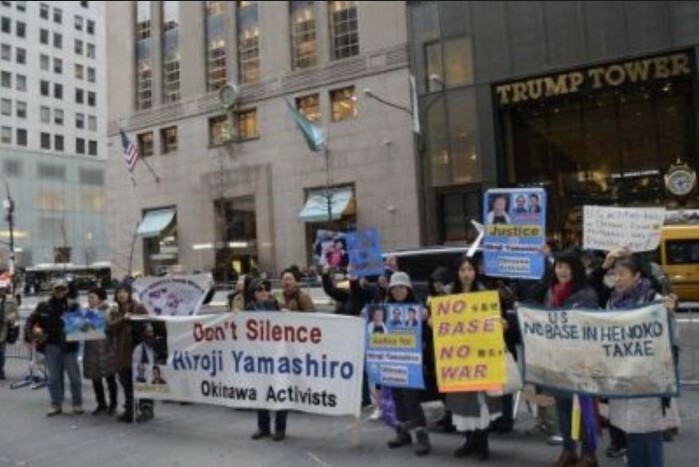 He has long been opposed to the U.S. military presence in Okinawa. He is against the relocation of Marine Corps Air Station Futenma to another location in Okinawa, a position consistent with his late predecessor Onaga. 3. 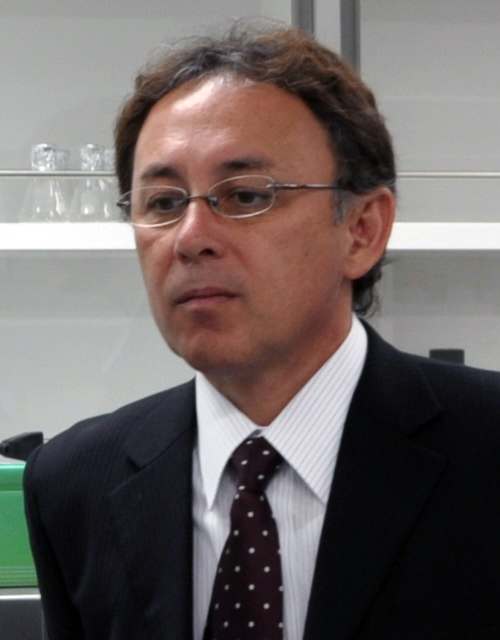 He was born in Uruma, Okinawa, on 13 October 1959, to an Okinawan waitress and a U.S. Marine father who left Okinawa before Tamaki was born. 4. He was born Dennis Tamaki (玉城 デニス Tamaki Denisu) but later changed his legal name to Yasuhiro Tamaki (玉城 康裕 Tamaki Yasuhiro) when he was 10 years old. 5. He never met his father. He attempted to search for him, but was unsuccessful. To read the PDF version of The Okinawas1: Their Distinguishing Characteristics, click the image below. To read the PDF version of this book, “The Okinawas: Their Distinguishing Characteristics,” click this image. 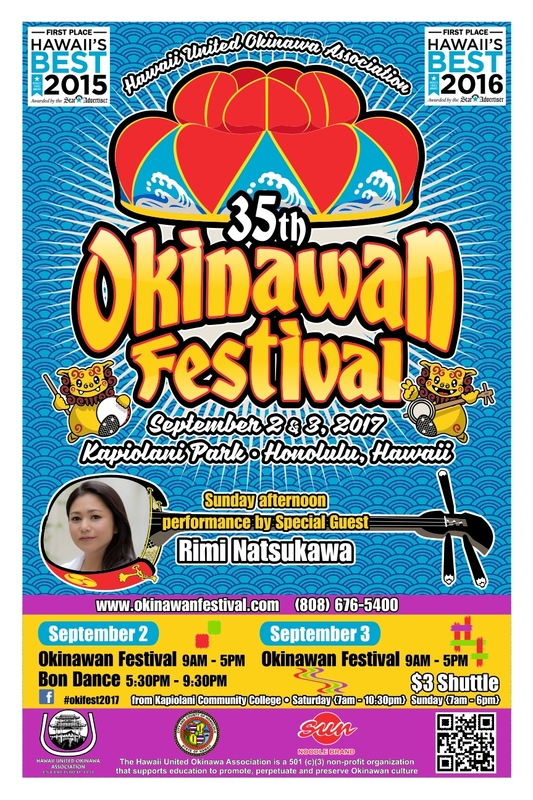 The Honolulu 2018 Okinawan Festival was held at the Hawaii Convention Center (Sep. 1 & 2) instead of Kapi’olani Park for the first time. I was concerned about the size of the center. Would it be able to accommodate all the exhibits, booths, performances? Would it be able to absorb the thousands of visitors and volunteers? How would it manage the bon dance? Would participants be able to kick back in beach chairs and relax? To get a sense of the size and layout, I decided to shoot a video with my GoPro. I was surprised by the size of the exhibition hall on the first floor. It’s huge. It would easily accommodate the bon dance, food booths, etc. I’m not sure about the comfort level, though, for a two-day, all-day event. Beach chairs and large coolers aren’t allowed, and there are no grassy areas and shade trees. 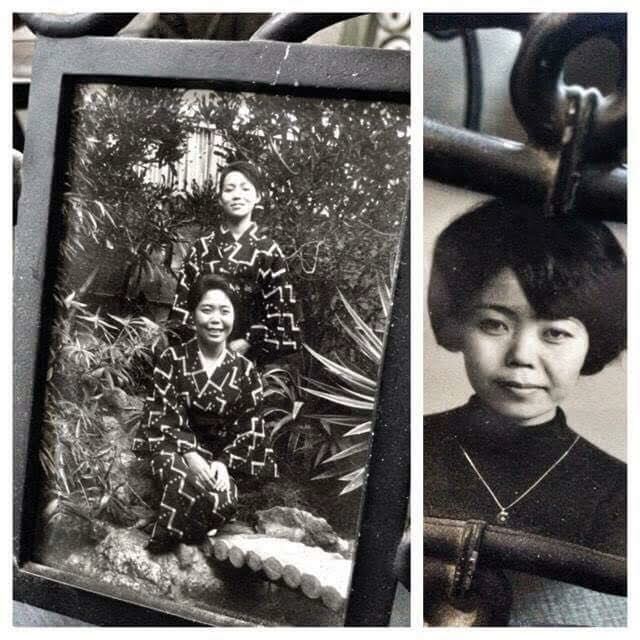 Received from Anonymous 5/28/18: I’ve been trying to trace Taira family in Okinawa. My grandparents migrated in late 1800 or early 1900 to Hawaii, settling first in Kaneohe than in Kalihi. If you have any info, I’d appreciate. Growing up in Kalihi, I now live in California. We used to attend the Haneji picnics. 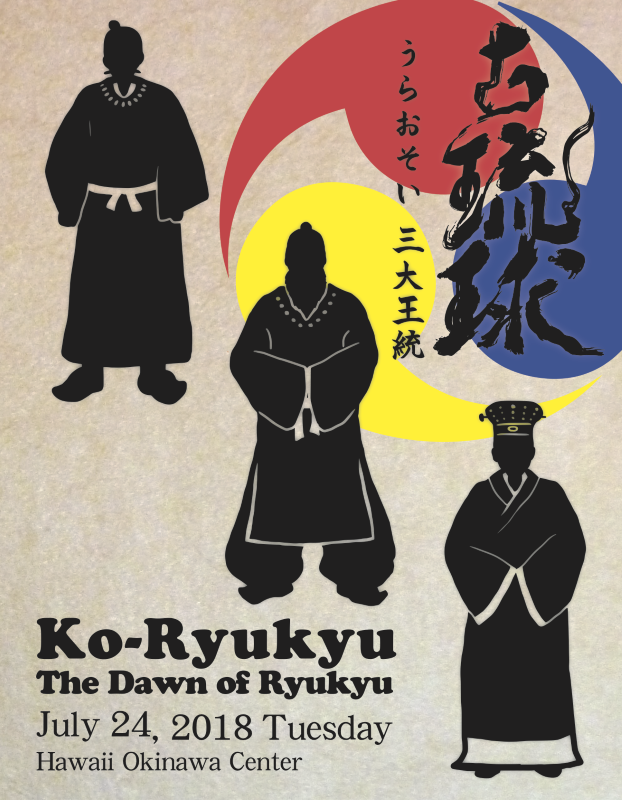 Ryukyukoku Matsuri Daiko Hawaii is delighted to present “The Dawn of Ryukyu” on July 24, 2018, at the Hawaii Okinawa Center. This special event can be enjoyed by all ages and will feature a medley of Okinawan performing arts to tell the story of ancient Okinawa. 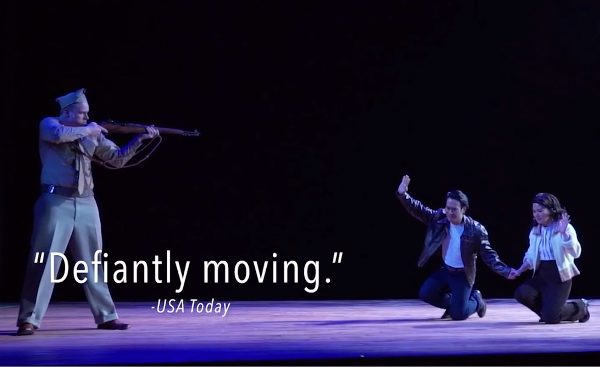 Preferred Seating includes early entrance at 6:00 PM, and preferred seating on a first come, first serve basis. Reserved VIP include early entrance at 6:00 PM, reserved seating, and an okashi gift box. In addition, with the purchase of each pair of tickets, a parking pass will be provided. Please contact us for information about personal or corporate sponsorships. I returned recently from a delegation of U.S. military veterans to Okinawa, to witness the devastation from the ongoing U.S. military occupation since 1945 — with construction of yet another military monstrosity in rural Henoko, despite the resistance by Okinawans for over 20 years via elections, lawsuits and non-violent civil disobedience. Veterans for Peace members joined in the latter only to be dragged away with other local Okinawan elders by riot police from Japan. 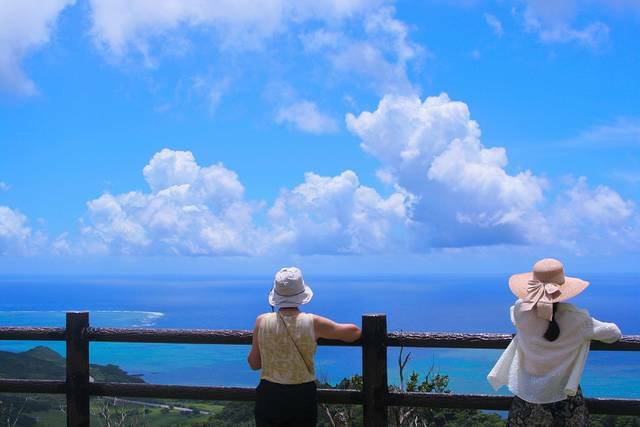 PIXABAY – “What amazed me aside from the persistence of Okinawans demanding human rights, democracy and mutual respect for decades, are the indifferent justifications by Japan and the U.S. — from political representatives to entire communities,” writes Pete Shimazaki Doktor, co-founder of HOA (Hawaii Okinawa Alliance). Here is an idea for perpetuating Uchinaaguchi in Okinawa. Try to have Hogen (Uchinaaguchi) coffee shops in every town in Okinawa where anyone who wants to speak, learn, or practice it is welcome. The purpose is to create an environment for speaking the language. These coffee shops are identified by a special sign (perhaps a yellow flower symbol) to be placed outside so people passing by will know. All who come to these Hogen coffee shops try to speak Uchinaaguchi to each other. Bring the ojisans and obasans, so we can hear their stories of the old days. If customers (first time) cannot understand Uchinaaguchi, then Japanese is spoken, but they are encouraged to listen, learn, and speak Uchinaaguchi. When they leave, they are encouraged to return to continue their learning. “It’s all love” is the attitude there. Hope you all can find time between Christmas shopping to stop over at the East-West Center gallery this Sunday to listen to me talk and sing. The event is titled “Mimi-gusui: Life Sustenance Through the Ears” and will be from 2-3 pm this coming Sunday, December 11. Here is the link to the event/location. 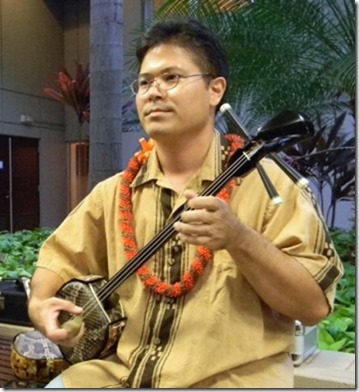 Norman Kaneshiro, singing and playing the sanshin.